“What’s in a name? A rose by any other name would smell as sweet,” Juliet Capulet famously asked in William Shakespeare’s play. Many nowadays are probably wondering the same thing about the name of The Church of Jesus Christ of Latter-day Saints and its other abbreviations and nicknames. 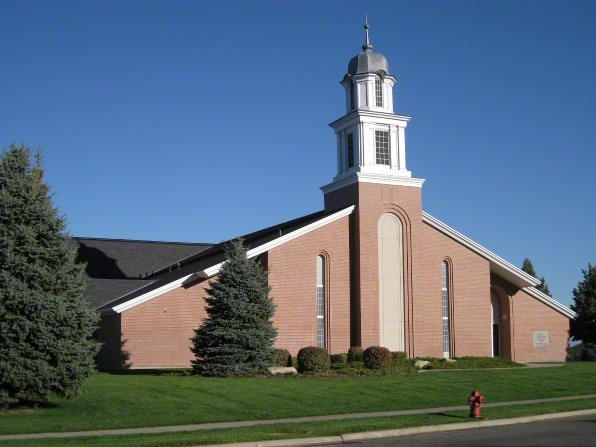 Why does it matter if you use The Church of Jesus Christ of Latter-day Saints, the Mormon Church or the LDS Church? They are all the same—and the Church by any other name is still the same organization, right? The Lord has impressed upon my mind the importance of the name He has revealed for His Church, even The Church of Jesus Christ of Latter-day Saints. We have work before us to bring ourselves in harmony with His will. In recent weeks, various Church leaders and departments have initiated the necessary steps to do so. Thus, The Church of Jesus Christ of Latter-day Saints is launching a major effort to use the full and proper names of the Church rather than nicknames or abbreviations. This will be no small task, especially given the popular “I’m a Mormon” campaign, the famous Mormon Tabernacle Choir and the sites mormon.org and mormonnewsroom.org. How will the Church enact these changes? I don’t know. We’ll have to wait and see. Why would the Church embark on such a monumental effort as this? Well, it’s all about what’s in a name. Names can convey powerful meaning. For example, my oldest son is named Benjamin. I don’t call him Ben—Ben was the name of my dog growing up, and I did not name my son after the dog. Benji is the name of a TV dog. And again, my kid isn’t named after an animal, so I don’t use that nickname. I’ll sometimes call him Benja, because that’s what his little brother called him before he could say the full “Benjamin.” I am very particular about what I call my son—and all of my children. They were given names that held special meaning for me and my husband. And we have taught our children what their names mean and why they were chosen. For thus shall my church be called in the last days, even The Church of Jesus Christ of Latter-day Saints (Doctrine and Covenants 115:4). The name the Savior has given to His Church tells us exactly who we are and what we believe. We believe that Jesus Christ is the Savior and the Redeemer of the world. He atoned for all who would repent of their sins, and He broke the bands of death and provided the resurrection from the dead. We follow Jesus Christ. The word The indicates the unique position of the restored Church among the religions of the world. 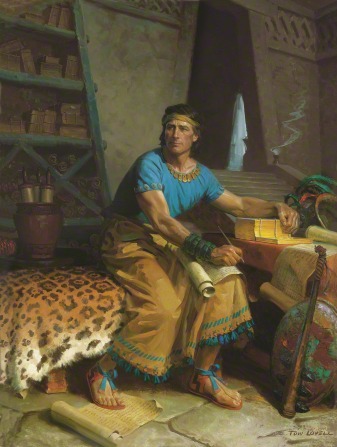 The prophet Mormon, for whom the Book of Mormon was named, abridging the gold plates. And how be it my church save it be called in my name? For if a church be called in Moses’ name then it be Moses’ church; or if it be called in the name of a man then it be the church of a man; but if it be called in my name then it is my church, if it so be that they are built upon my gospel (3 Nephi 27:8). Thus, if it is called the Mormon Church, then it’s Mormon’s church. But Latter-day Saints do not follow Mormon, we follow Jesus Christ. 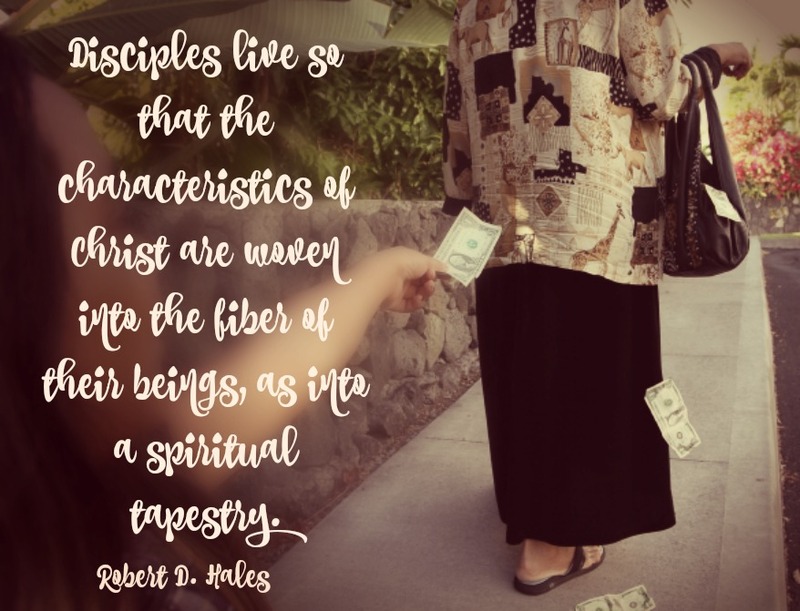 Hence, The Church of Jesus Christ. Thus, it is The Church of Jesus Christ. 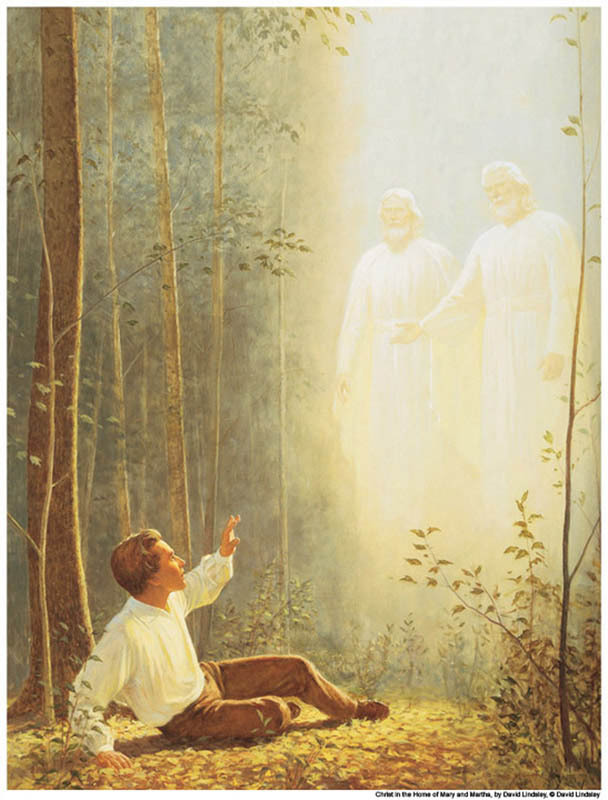 One of the most extraordinary events in the history of mankind occurred on a spring day in 1820 when Joseph Smith Jr. went into a grove of trees near his home to ask God for direction, light, and truth. As he knelt in humble, sincere prayer, according to his own account of the event: “I saw a pillar of light exactly over my head, above the brightness of the sun, which descended gradually until it fell upon me. At that moment, the world became a different place. The heavens, long silent, were once again opened, and revealed light and truth poured forth, that eventually resulted in the organization of The Church of Jesus Christ of Latter-day Saints upon the earth. The Prophet Joseph Smith set a pattern for us to follow in resolving our questions. … Find a quiet place where you can regularly go. Humble yourself before God. Pour out your heart to your Heavenly Father. Turn to Him for answers and for comfort. 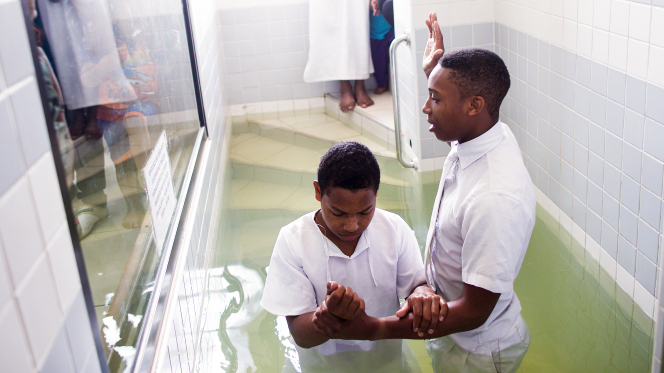 … A disciple is one who has been baptized and is willing to take upon him or her the name of the Savior and follow Him. A disciple strives to become as He is by keeping His commandments in mortality, much the same as an apprentice seeks to become like his or her master. Some may wonder why the Church has chosen now to make these changes? While it may seem sudden, it’s not really. The prophets and apostles have discussed the need to use the proper name of The Church of Jesus Christ for years. We have to be careful to protect the name ‘Mormon.’ The media will think that we are tossing it out. We aren’t. We just want to be accurate. Mormon was a man. He was a prophet. He was a writer, a record keeper. We honor him and treasure the book that bears his name. We’re talking about the name of the Church.